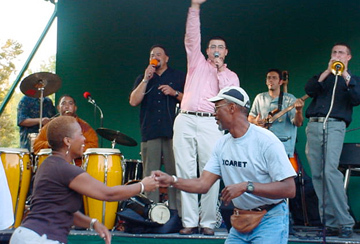 Other Comments: The Afro-Rican Ensemble is an exciting Latin Jazz band, led by master percussionist Rolando Matias. This group has gained recognition nationally and internationally through their performances at music festivals, jazz societies, nationally-known jazz clubs and music halls. They have made numerous television appearances in the United States and abroad, notably on two jazz programs on the B.E.T. network.